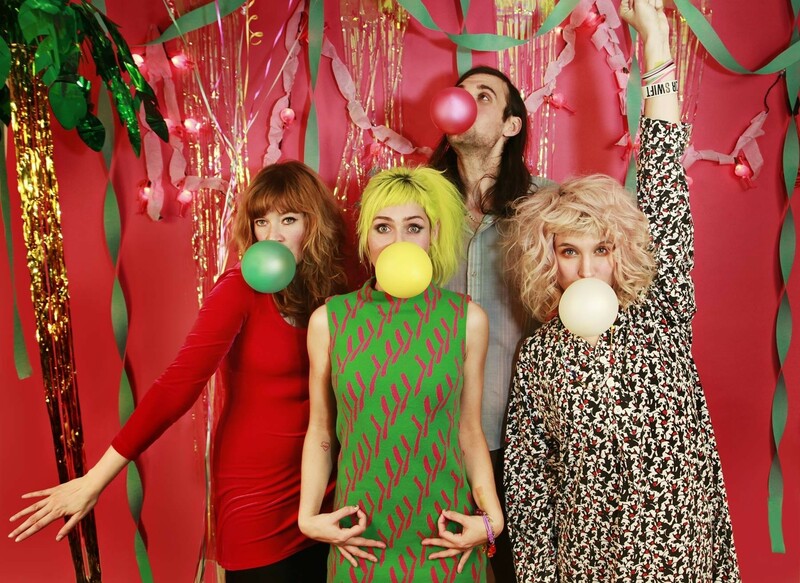 Tacocat headlines this weekend's KAZZUFEST in Pullman. Stop. What are you doing right now? You should be headed to see some live music sometime soon. Tough Customer has a demo out straight-up called The Worst. Name aside, the music is hardly the most terrible five rock tunes ever recorded. You can check the Vancouver, B.C.-based slam-punk band out tonight at the Baby Bar. Local rock/punk acts S1ugs and Phlegm Fatale open for the show. &amp;amp;amp;lt;a href="http://actualtoughcustomer.bandcamp.com/album/the-worst-demo"&amp;amp;amp;gt;The Worst DEMO by TOUGH CUSTOMER&amp;amp;amp;lt;/a&amp;amp;amp;gt; Looking for yet another free local rock show tonight? Head over to the Observatory to see you some Wind Hotel, Loomer and Empty Eyes. The music starts at 10 pm. For 25 years, Soul Proprietor has inspired local music lovers of all ages to get up and shake their booties. The band’s music, a superb mix of funk, soul, R&B, Motown, blues and classic rock, is magnetic in its ability to keep fans guessing. The musicians, including a four-piece horn section and Patrice Thompson-Rose’s powerhouse vocals, make this local cover band stand out. This April Fools’ Day (no joke), they take their talents to the Palomino. Expect three hard-hitting, funk-filled sets. The show starts at 7 pm and is $10 at the door. Meanwhile, downtown, the recently-opened Reserve hosts another April Fools’ Day show this one featuring local acts Flying Mammals, Ragtag Romantics and Deschamp. The concert starts at 8 pm and is $5. ALSO: Be sure to check out the list of First Friday participants, often music is involved with the art. We’ve written about Down North, playing the Big Dipper Saturday, at length. There’s not a lot left to say except that if you haven’t experienced one of their out-of-this-world fun shows yet, you have to go immediately. The concert starts at 7:30 pm and is $8 at the door. B Radicals and Cattywomp open. Be sure to bring your best dancin’ shoes for the event. The festival’s Twitter page reads, “Make Pullman’s music scene great again.” And Kazzufest (called Kazzuzapalousa for last year’s inaugural event) is doing just that, bringing in indie acts, mostly from Seattle, for a one-day event. Put on by the student-run Washington State University radio station KZUU 90.7 FM, the public is invited to come out and support the scene. Seattle’s punk act Tacocat — fresh off of playing at Safeco Field for a Bernie Sanders rally — is the festival headliner this year; the other acts are Altesse (DJ), Jarv Dee (hip-hop), Tangerine (pop/garage rock), Cam the Mac (hip-hop), Lo’ There Do I See My Brother (rock), Illridic (hip-hop) and Northern Natives Collective (beatmakers). It would be better if festival promoters had included some Inland Northwest bands, but overall, the lineup is solid. Cost is $12/$15 day of (WSU students), $15/$20 day of (general public) and the event kicks off at 4 pm.